Signing the contract to provide group term life insurance to Lina Group employees are Insular Life President and COO Mayo Jose B. Ongsingco and Linaheim Corporate Services, Inc. Chairman of the Board Alberto D. Lina (3rd and 4th from left, respectively.) Witnessing the signing are (seated from left) Insular Life Metro South Regional Office (MSRO) Head Sr. Manager Muvien B. Amponin, Linaheim Corporate Services, Inc. President Antonio L. Tañada, MSRO Underwriter Jean Bayla, and Insular Life Group Marketing Division Manager & Team Leader Ricardo P. Francisco. 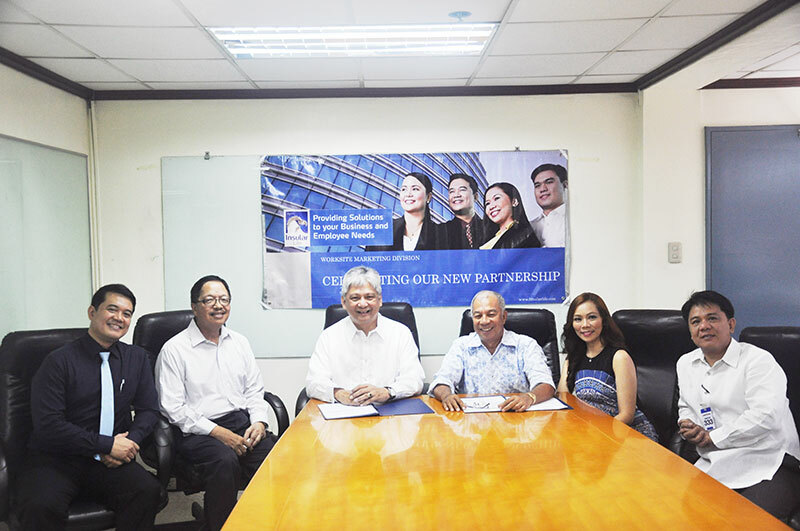 Insular Life signed an agreement with the Lina Group of Companies to provide its employees with a group term life insurance plan. The group term life plan is a yearly renewable term insurance that companies may provide to protect the lives of their employees. The Lina Group of Companies is a conglomerate of 22 affiliates sharing expertise on various industries such as Logistics, Information Technology, Food, Environment, Waste Management, Business Process Outsource, Travel, Communications and Media.